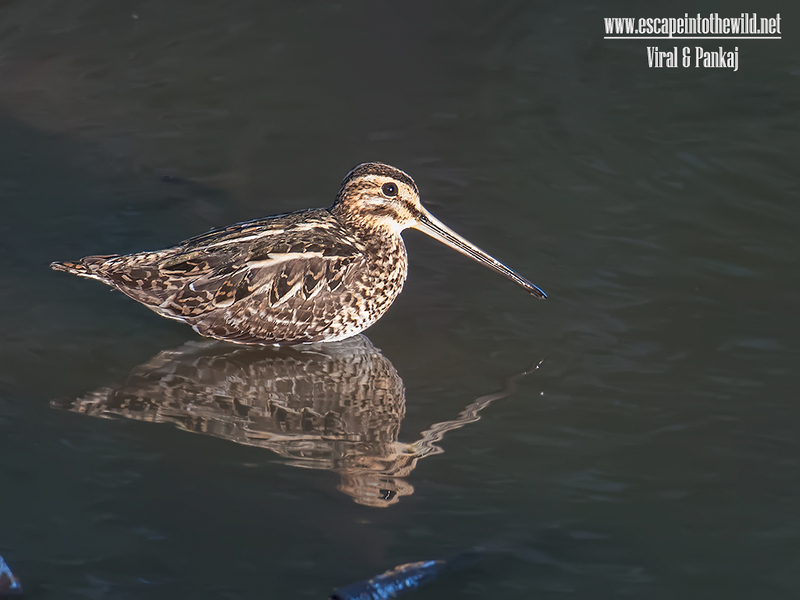 Common Snipe is very shy birds. We see that birds many time but did not get opportunity to click them. When this time of winter we visited the Khijadiya Bird Sanctuary, we see thee snipe foraging in shallow water of pond. They are busy in foraging so they are not aware of our presence. due to that we get chance to click and shoot there photo and video.